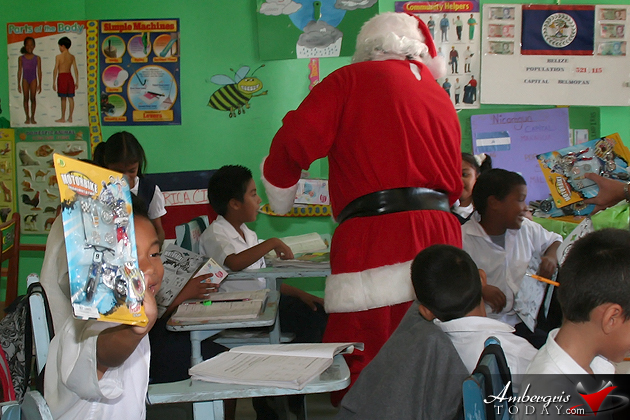 Santa Claus makes his second appearance in San Pedro after the Holiday Boat Parade. 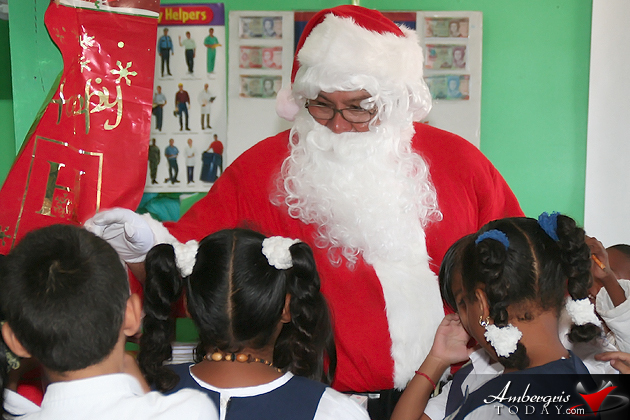 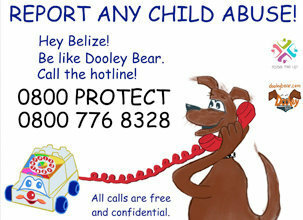 This time he is making his rounds around town along with Mayor Elsa Paz and sharing toys, toys and more toys to all the school children of San Pedro, Ambergris Caye. 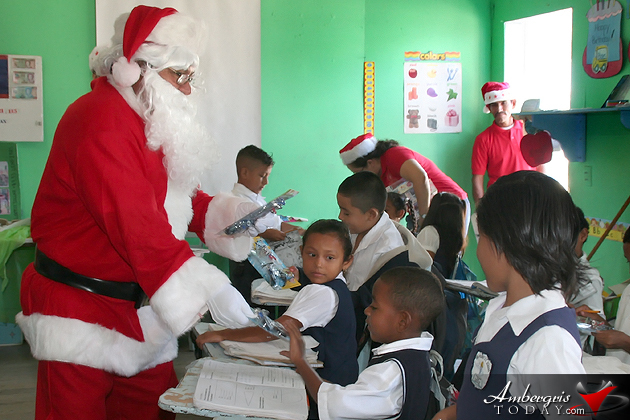 This is part of the Town Council’s yearly gift giving where the Mayor and Santa visit all the primary schools on the island to spread a little bit of joy to the children. 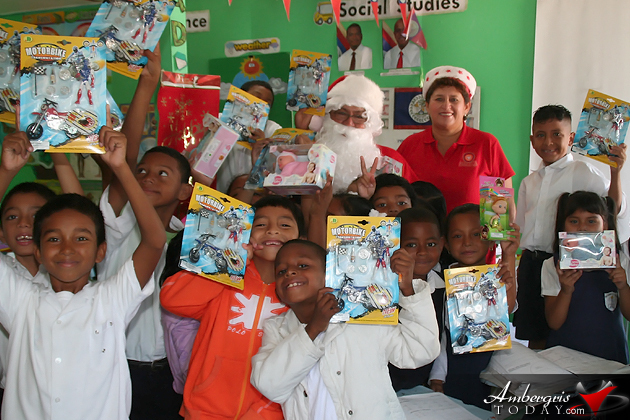 And joyful is what the children are; with huge smiles in their faces and big bright eyes they thank Santa and Mayor Paz for the special gift. 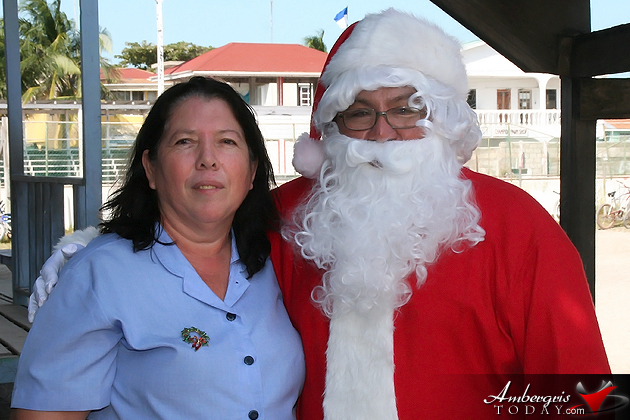 Today, Tuesday, December 13, 2011, Santa and Mayor Paz visited the Island Academy, Brighter Tomorrow Pre School and San Pedro Roman Catholic School. 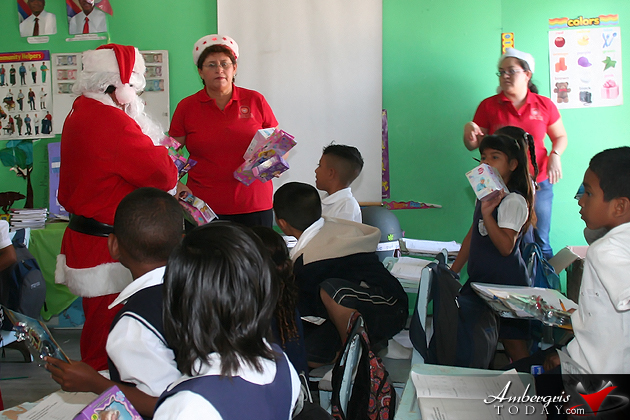 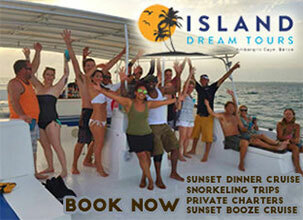 During Wednesday and Thursday they plan on visiting the rest of the schools on the island. 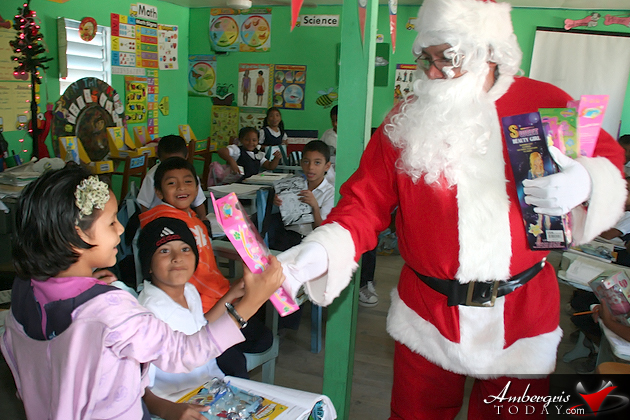 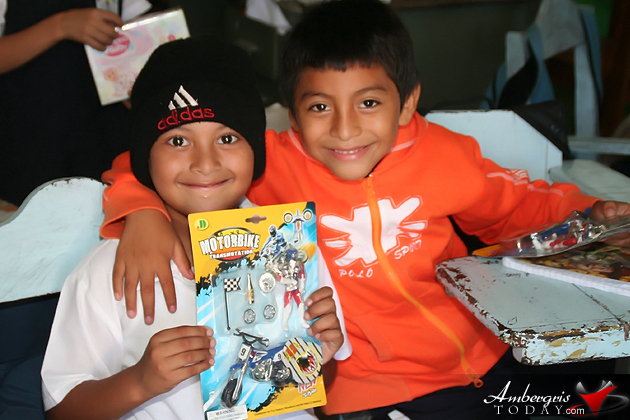 Well over 2,000 children will be receiving toys courtesy of the San Pedro Town Council.